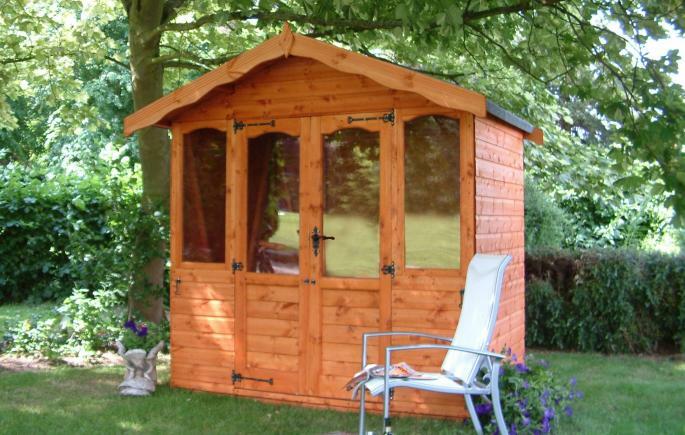 The Regent Summerhouse provides the perfect place for relaxing out in the garden. The arched double doors and windows are complimented by the antique ironmongery and pofiled fascia boards to create an appealing garden building. Various upgrade options such as a front veranda, toughened glass and factory painting service allow you to customise this building to your own requirements. A simple but stylish summerhouse clad with redwood tongue and groove boarding. Also available with a verandah.